Donald Trump during his presidential campaign had promised to end US-NATO’s failed mission in Afghanistan to liberate Afghan women, build a pipeline from Caspian Sea to Haifa refinery in Israel and return the country to become largest supplier to West’s drugs industry monopolized by the Zionist Mafia. However, last month in his address to the nation, Trump announced his decision to deploy several thousands more US soldiers to help the US Viceroy Ghani in Kabul against anti-USrael Taliban. Trump proclaimed that he intends to continue America’s failed colonial war in Afghanistan and might ask India, a military giant with feet of clay, to help defeat Taliban. 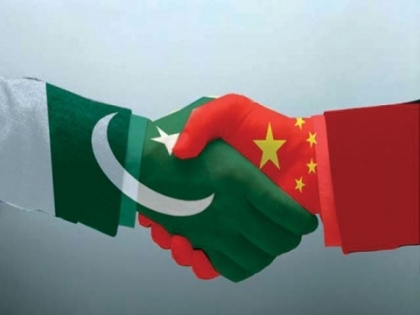 Last year, both China and Russia joined Pakistan to find a peaceful solution to 16-year bloodshed in Afghanistan and withdrawal of US-NATO occupation force from the country by installing a government consisting of Taliban and other Afghan groups. Asif said India is investing in Afghanistan along the border of Pakistan and we have serious reservations about it. India backed-up by American Jewish Lobby, is against the withdrawal of US-NATO forces from Afghanistan. The US-NATO invaded a non-military Muslim (100%) country of Afghanistan on October 6, 2001 on the pretext of terrorist attacks on September 11, 2001 even though none of the so-called 19 Hijackers was Afghan. The 9/11 attacks were planned in December 2000 by the Bush administration with the help of Israel Mossad, in order to provide an excuse to invade foreign states under the phony War on Terror. US-NATO war against Taliban is entering in its 17th year next month – making it the longest and bloodiest war the America’s Vietnam War. It has cost US-taxpayers more than US$1 trillion so far. It has killed 104,000 Afghan people since October 2001. 31,000 of those killed were civilians. Over 41,000 Afghan civilians have been wounded while over four million civilian became refugees in Pakistan, Iran and India (here). Afghan casualties of 104000 are inaccurate/grossly understated. In this respectable article http://www.globalresearch.ca/shocking-truth-of-british-involvement-in-the-deaths-of-6-8-million-in-iraq-and-afghanistan/5478758, avoidable (civilian) Afghan deaths are estimated at a MINIMUM of between 2-3 million and at a maximum of between 6-8 million. Also remember that the US’s war in Afghanistan and Iraq are primarily nuclear wars ( The widespread use of DU munitions is worse than an outright nuclear bomb – it is far more widespread and leaches into the soil and groundwater that will now be contaminated for thousands of years causing well documented cancers and birth defects which date back to the first Gulf war). Hopefully one day, this despicable, unprovoked US-Nato nuclear genocide of Muslims will be avenged in kind.